Slate is material that’s very popular not only for fireplace but especially for flooring. Slate floors can add an earthly feel to a room, it has natural beauty and very durable. To maintain it beauty your slate floor need to be properly cared. With regular maintenance, your slate floors can stay warm and beautiful for years to come. Your best option for keeping your slate floors clean is to contact the experts at Modern Stone Care. Slate floors have grown in popularity over the years, the diversity was limited to just gray and pale not a lot of options to select from. Now there are hundreds to select from and in places like India there a variety of several hundreds of every imaginable colors along with textures. Slate is composed of tiny minerals such as hematite and quartz, this is what gives the shiny sparkle look to the floors. 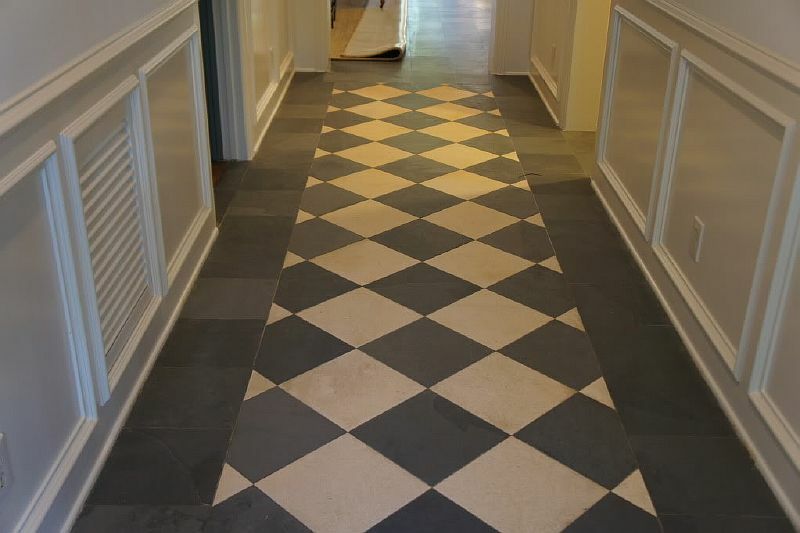 The only problem that occurs with slate floors is the polishing is different than typical use for marble and granite. Which is why the maintenance very important and is best done by professional company like Modern Stone Care. For the polishing process, the floors need to be stripped and re-done periodically. To maintain the beautiful look of slate, this need to be done every six months. Slate is a porous material of natural stone and if it not properly polished and sealed it very likely to absorbing liquids and staining. Slate surface has pockets and natural grooves that can absorb dirt, pre-chewed food and debris. The debris can tear down the surface which will make the floors look grimy. To find out more information about slate floor polishing and how it’s a great choice to improve your home contact the natural stone polishing specialist at Modern Stone Care.